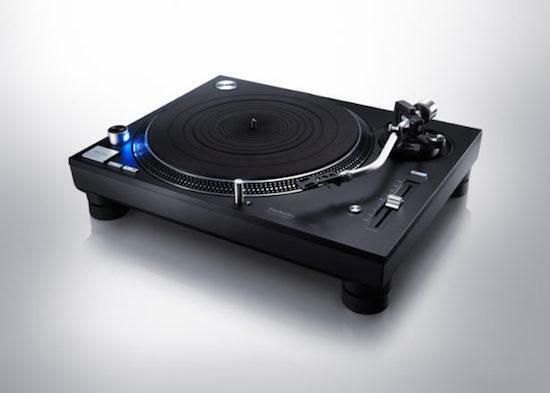 Technics have unveiled their latest turntable, with a newly updated version of the classic SL-1210 model announced. The company have set the turntable at a price of £1,299 in the UK, the same as the recently announced SL-1200 reissue, and there are a number of similarities between the two. However, while the 1200 model is available in silver, the new 1210 is available in a black colour option. The full name for the new turntable is SL-1210GR, with that and its 1200 counterpart marking the new standard issue turntables from Technics, having revived the turntable brand last year. The company had initially released a limited edition version of the turntable last year, known as the SL-1200GAE. Announcing the new turntable, the company also took the opportunity to reaffirm their commitment to DJs following comments made by creative director Hiro Morishita to the New York Times last month that the company was now targeting audiophiles rather than DJs with their new models. "We are sure both models will fulfill the expectations of Technics fans around the globe," company director Michiko Ogawa said. "Our objective was to extend our top range for audio enthusiasts as well as professional DJs." The two new standard issue turntables have inherited some features from that more expensive limited edition model, but the direct drive motor will have a single rotor, and the tonearm will be made from aluminium rather than the 1200GAE's magnesium. Both new models will be available in April. You can find more information here .